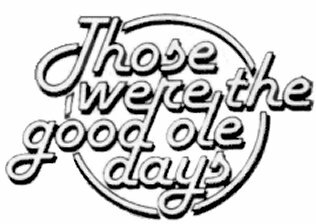 I, and many of my friends, occasionally sail down “The Good Old Days” stream of thoughts. We reminisce about an earlier time and claim that everything felt more authentic, tasted sweeter, sounded surreal, was fragrant and pleasing to the eye. We omit the challenges we faced in yesteryear and focus on the pleasantries of the past. What cost do we pay when we paint a picture of our past with rose colored lenses, while throwing the present under the bus? To name a few things, I think we pay the cost of lost time, lost opportunity, and lost feel good. 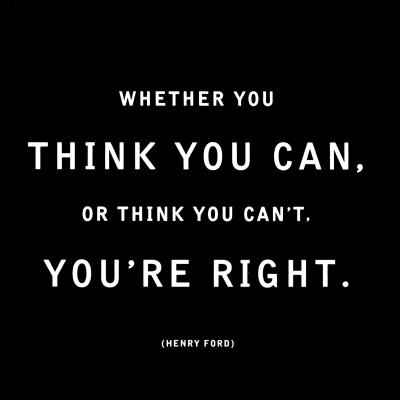 Thoughts are powerful! They can make or break you. Have you noticed that when you dwell on something you perceive as unpleasant you feel weighed down and unhappy and when you tell yourself to just let it go you start to feel lighter and happier? Have you ever been faced with frightening situation and chose to claim a happy outcome regardless of how dismal the situation appeared to be? How did you feel in the moments after you claimed a happy outcome and refused to entertain any contrary thoughts? More than likely, you felt better. You didn’t let your thoughts get the best of you and consequently did not lose your feel good. How many times have you observed interviews of individuals who achieved noteworthy goals and heard them share that they focused on what they wanted to experience and did not entertain any other possibilities? Would they have achieved their goals if they always glamorized the past and felt gloomy about the present? Would they have perceived the opportunities in front of them if they were stuck in nostalgia? Their commitment to their respective goals was their choice. You can make a commitment to appreciate your present. It’s your choice. Don’t get me wrong. Treasuring a previous pleasant experience is an exercise in gratefulness. Memory lane has its place. Retrieving good memories can inspire us to weather a storm because our experience yields irrefutable evidence that a storm will eventually past. Good memories can also fuel us to zealously push forward. In other words, the impact of past joyful times could motivate us to do what it takes to create more wonderful experiences. The challenge is to appreciate the past and also cherish the present. How do you cherish the present? Well, first please realize that it takes practice. A possible starting point is to stop being a fair weather fan when it comes down to technology. The moment the network crashes, we dismiss the gains that have been made due to advances in technology. We are living in a state of Utopia when it comes down to technology. Just as the Nile River provided a food abundance that freed up time for extensive gains in medicine, science, math, architecture, art, song, dance . . ., advances in technology have freed us up from laborious, painstaking tasks. You can get your package to the other side of the country overnight. Through email you can send a message to someone in no time. In fact, you can get a message to thousands of people in a matter of minutes. Not to mention, through Instagram, you can get a message or picture to someone practically instantly. You can access news, movies, music and more through your phone. You can get some medical tests’ results the same day and it formerly took days and sometimes weeks to get those same tests’ results. Although not much compares to a good home cook meal, it is convenient not to have to pack and insulate a week’s worth of food when you’re taking a road trip across the country. Speaking of road trips, back in “The Good Old Days” it took a long time to go from Virginia to California in a covered wagon! The moral of the story: We do not have to totally abandon the past to embrace and appreciate the present. We can teach ourselves to consistently weave our communication with threads of “The Good New Days” and threads of the “The Good Old Days.” Undoubtedly, if our conversations reflect the commingling of the good threads of the past and the good threads of today, we will find ourselves draped in a soft, resilient garment of auspicious perseverance.